Royal Cyber BPM testing services enables simplified test automation of multi-user BPM workflows. Common reusable multi user interaction scenarios prewritten to facilitate faster script preparation & automation coverage. Unified Services automation along with end to end UI automation enables seamless integration of different types of tests. Parallel execution & multiplatform test execution possible to enable high level of compatibility testing. Simple test definition enables easy preparation and maintenance in the long run. Simplify automated testing of various Business process flows, while being domain agnostic- high reusability across assignments/ projects. 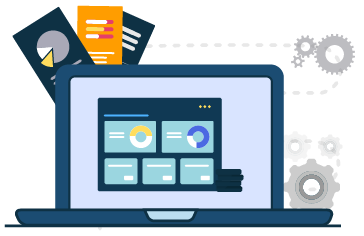 Greatly simplify the overall test automation maintenance process so as to reap tangible benefits of test automation and ROI. Moving focus from technical challenges of automated testing to actual testing of application under test. 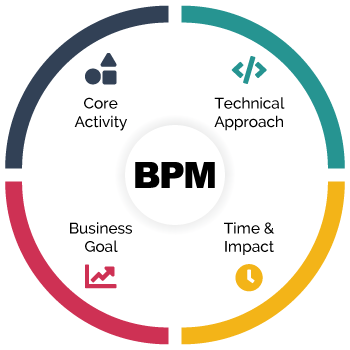 Simplified and Robust test automation process for effective overall QA of the BPM Applications. Faster deliveries by enabling out of box support for CICD.